When the going is about to get tough…the tough go fishing. We’re supposed to have wind chills in the low 20’s by this weekend but today was a beauty and I had the pleasure of being on the river with two very capable anglers. 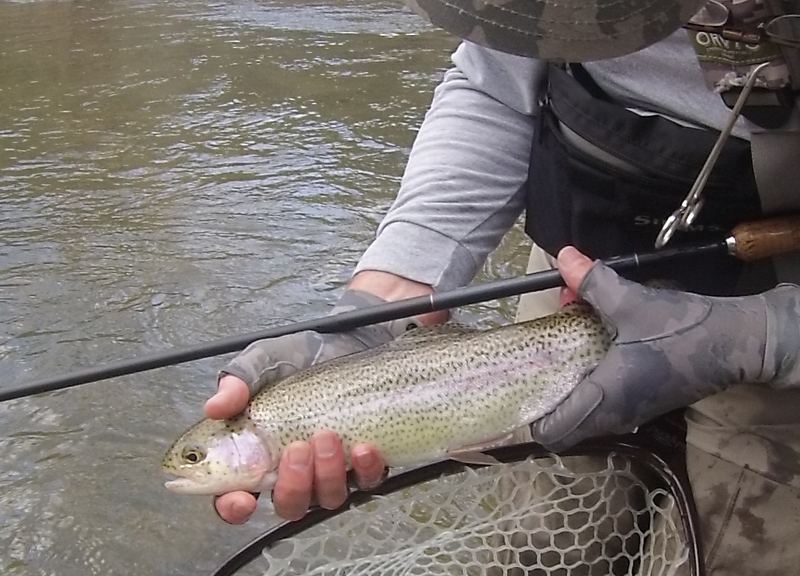 The highlight/lowlight of the day was hooking up a solid 18″ rainbow that escaped by streaking right between two peoples legs at the same time and then making a sharp U-turn to break off. I wish I’d had a video rolling to catch the comical (and futile) dance to get out of the way. But we caught our share (see above ) and have a great story to re-enact about how the big one got away.